At Sowers Pre-Owned in Fairmont WV we serve Northern West Virginia, Southwestern Pennslyvania, Western Ohio and Maryland from our location just off I-79 at exit #137. We are also equipped to sell Nationwide and Worldwide from our experience with eBay listings. Our inventory turns over rapidly and typically includes highly optioned luxury vehicles and SUVs from Mercedes-Benz, BMW, Audi, Cadillac and any others that may come our way. We also feature everyday transportation from Ford, Chevy, Toyota, Honda, Subaru and Nissan. In trucks we feature late model pickups from GMC, Ford, Chevy, Dodge RAM, Toyota and Nissan. Since we are car enthusiasts there is a place on our lot for Corvettes, Mustangs, Dodge Challenger and various Muscle Cars or Hot Rods, Street Rods and Restomods. Jeep Grand Cherokee and Wrangler are also staple items for us as well as other Off Road or Dual Purpose vehicles. Motorcycles from Harley-Davidson Electraglides to Street Cruisers or Baggers and various Honda models are often in our inventory too. Primarily we sell late model, low mileage vehicles that have been well cared for. Many are upscale but we also provide vehicles that are economical and reliable family transportation. 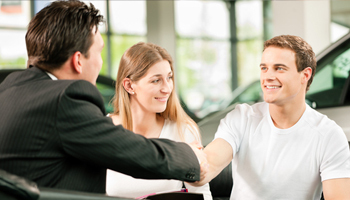 Every unit is serviced and highly detailed to provide a new car experience at pre-owned pricing.